The San Benito County Weed Management Area is holding its 16th Annual Continuing Education Seminar for Ranchers on Thursday, December 7 from 7:30 am to 11:35 am at the Hollister Veterans Memorial building. The event is free! Come learn about managing rangeland weeds and bring weeds from your ranch to have them identified by a botanist! The Department of Pesticide Regulation has approved 2.5 hours of pesticide continuing education credit (including 1 hour of Laws and Regulations). Thanks so much to Bolado Park Event Center for sponsoring the event! For meeting agenda click here. If you have additional questions, contact Devii Rao at drorao@ucanr.edu or 831-389-4397 x14. 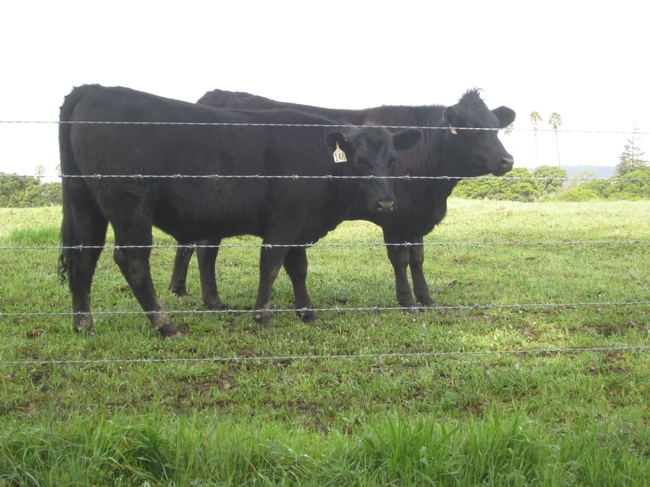 Cattle grazing to reduce weeds.